Harris Irfan talks to Manuela Saragosa on the BBC World Service: http://www.bbc.co.uk/programmes/p02cf0rb This post was originally published in heavensbankers.com, on 27 November 2014. What Can the West Learn from Islamic Banking? 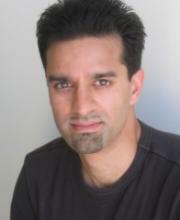 Sean Moncrieff of Ireland’s leading radio talk show, Newstalk, interviews Harris Irfan: http://www.newstalk.ie/player/home/Moncrieff/Highlights_from_Moncrieff/60992/ This post was originally published in heavensbankers.com, on 13 August 2014. Many thanks to Said Business School for hosting me. Part 1: Interview Part 2: Presentation This post was originally published in heavensbankers.com, on 25 January 2015. Islamic banking is gaining in popularity among non-Muslim customers. CNN’s Jim Boulden speaks with Harris Irfan, author of Heaven’s Bankers and MD of EIIB-Rasmala, Tirad Al Mahmoud, CEO of Abu Dhabi Islamic Bank, and Sultan Choudhury, CEO of Islamic Bank of Britain. This post was originally published in heavensbankers.com, on 26 November 2014.